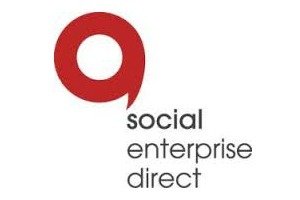 Social Enterprise Direct is the trading arm of Advice Direct Scotland, a charity that supports all Scottish citizens. We deliver a full CAB service over the phone and online. We give information to those who need it most, at times of crisis, to resolve their problems. The profit from our contact centre work therefore directly supports struggling families, individuals and communities. Commissioning SED not only offers you the best services from a motivated workforce, but every penny spent can be part of your Corporate Social Responsibility outcomes. Though our social impact is in Scotland, we operate across the UK, and currently work with companies in Scotland, England and Ireland. Match funding projects undertaken by ADS facilitating external funding. Since SED started trading, we have created 28 jobs. 24 people have moved on to further, substantive paid employment. Through our trading activity we have also distributed over £6m to people suffering in fuel poverty through the Scottish Power Hardship Fund, of which we are Independent Administrators. The Inputs also allow Advice Direct Scotland to pursue its own charitable objectives. The outcomes we provide include increased opportunities for recruitment and career progression external to our own organisation as well as internal promotion opportunities (such as Daniel and Kieran – now in Junior Management positions after joining SED). We also see a range of work-related outcomes for those employed by SED, including increased confidence, transferable, core and soft skills (such as communication and digital skills) and an increase in mental well-being through pride taken in helping others in need. For many SED employees, earning a wage allows them to be independent for the first time in their lives, providing a disposable income which allows a better standard of living and social life. Employees report better family and home lives. We are a Living Wage Foundation accredited employer, ensuring our staff receive a fair, commensurate wage. Since 2012 SED has invested more than £100,000 in user friendly technology to aid users, who are not digitally enabled or comfortable with technology, to become digitally engaged and be able to undertake computer and telephony work. This technology includes, but is not limited to, the development and deployment of Salesforce, Office365, a cloud infrastructure and e-learning software for volunteers. SED has provided sustainable and substantive employment to over 30 individuals since 2012.